Marketing teams today face a two-sided challenge: do more with less and prove results that justify the investment. 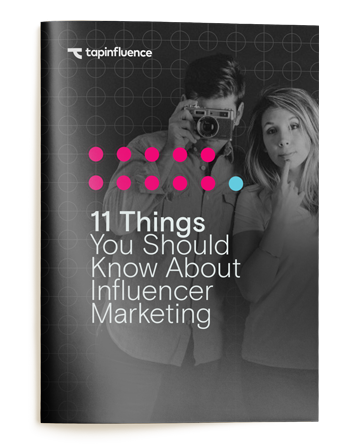 Influencer marketing is a proven way to power your content marketing engine, build trust with consumers, and drive efficient, measurable results at scale. Get this eBook and learn how to do it right, the first time. Grab your copy today. Influencer marketing is the practice of working with influential people online to spread the word about your products and services through social media and blogs. However, running a successful influencer program involves more than just asking these people to write a positive review for your brand or product. To be successful, you need to know these eleven best practices.